SAN FRANCISCO (WLS) -- Hazmat teams in California investigated a smell coming from a checked bag on a Chicago-bound Southwest Airlines flight Wednesday. Ramp agents reported a strange smell coming from the bags on Flight 2436 at the San Francisco International Airport. Firefighters were dispatched twice to the scene; the bag was not located on the first dispatch, but it was ID'd the second time. An inspection by firefighters found that the odor originated from a bottle of hairspray. 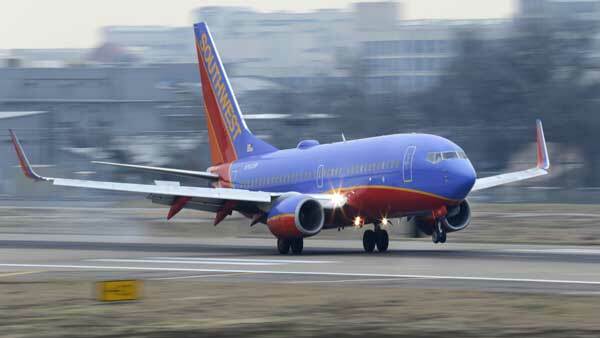 The flight will arrive into Chicago 50 minutes behind schedule, Southwest Airlines officials said. KGO contributed to this story.